The CGIAR Research Program on Agriculture for Nutrition and Health (A4NH) held its second annual Independent Advisory Committee (IAC) meeting on December 12, 2013 at the International Food Policy Research Institute (IFPRI) in Washington, DC. 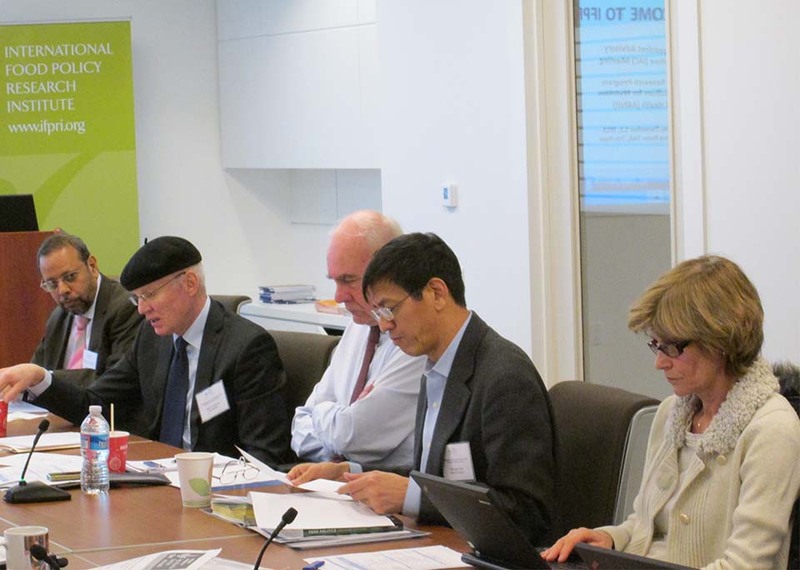 Attendees included the six-person IAC, the A4NH theme leaders, the A4NH project management unit, and members of IFPRI’s Director General’s office, including Shenggen Fan, IFPRI's Director General. The purpose of the IAC is to provide independent advice to the IFPRI Director General, the IFPRI Board, and to the A4NH Director on the following issues: program strategy; plans of work and budget; research quality, relevance, and innovation; monitoring and evaluation; potential for outcomes and impacts; and other advice relative to the strategy, implementation, and performance of the program. The IAC committee meets once per year. The next meeting is scheduled for October 2014. Click here for summary notes from the 2013 IAC meeting.